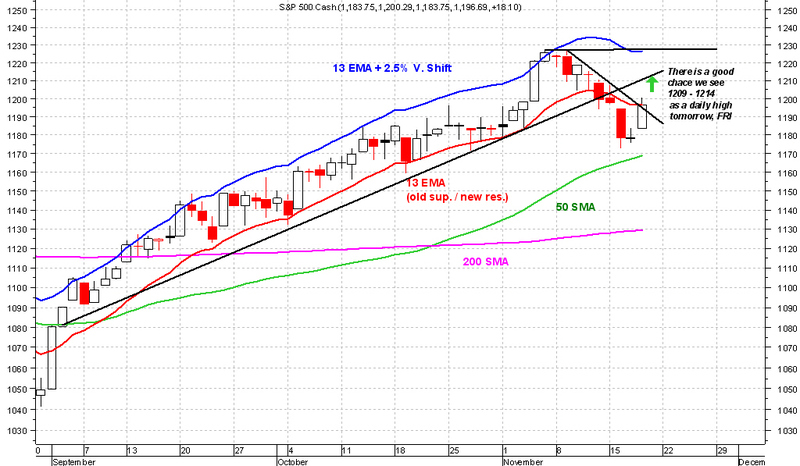 A good chance we see 1209 to 1214 on SPX as a high for the day for Friday 11/19. We'll know for sure tomorrow. 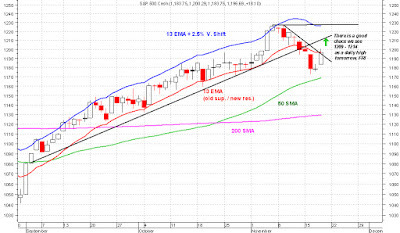 Note how 13 EMA old support acting as a new resistance now. Somethings never change.